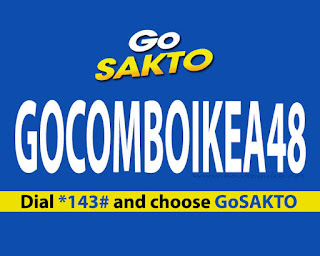 A new 1GB data for internet surfing promo from the Globe called GoSAKTO GOCOMBOIKEA48 that only cost you 48 pesos. Its way cheaper that other offers, you can use it to browse your favorite web sites, open your social media apps like Facebook, Twitter, Instagram and more. You can also contact your loved ones at is includes unlimited calls and 20 texts that you can use to send SMS whatever network they are using. If you are a prepaid home Wi-Fi subscriber, there is an option to enjoy 1GB of data for only 15 pesos via Globe HomeSurf15 promo. 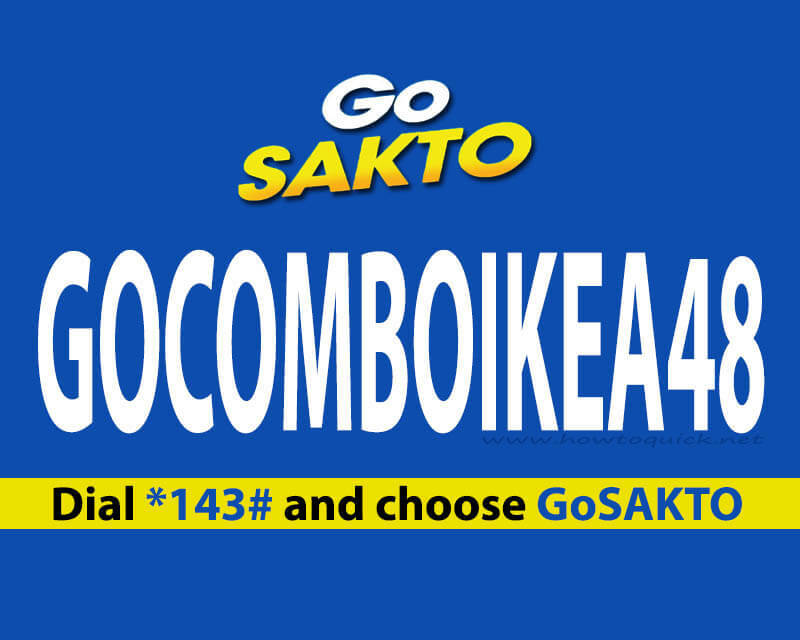 If not, then you have to avail the GOCOMBO IKEA complete call, text and surf bundle for only 48 pesos. You can easily subscribe via SMS keyword format if you do not want to dial *143# USSD code. All you need to do is reload your Globe prepaid account with at least Php48.00. Just visit your nearest loading station, retailer and kiosk to reload your SIM card. You can directly dial the number of the person you are trying to call then wait for the receiving end to accept the incoming call. How to check status or balance? If you want to end this and register for another promo just follow How to Stop Globe GoSakto subscription.